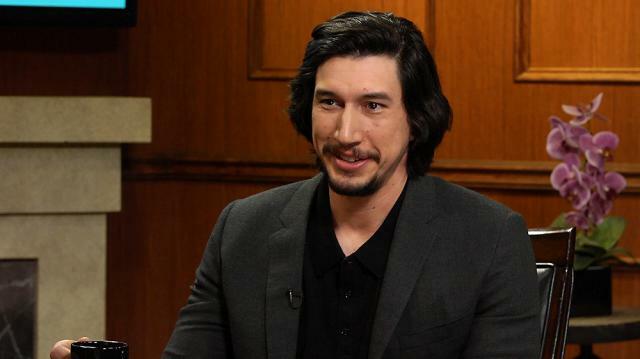 Adam Driver candidly discusses his experience working alongside Lena Dunham, who is not only his 'Girls' co-star, but also the show's creator and executive producer. Driver also applauds Dunham for inspiring young women in Hollywood to excel as a writers and showrunners. Larry King: Do you think that show has helped, and Lena Dunham has helped, the role of women in Hollywood? Adam Driver: I think so. I’ve given a lot of people a platform to feel empowered to create things. Larry King: Does she get the respect she deserves, do you think? Adam Driver: It’s hard for me to say, I look at her through a different lens than I think everybody else does. But all kinds of good things that happen to Lena, she completely deserves it. Larry King: What’s it like working with her? Do you like it? Adam Driver: I love it, yeah. She’s very specific in her writing and she’s very open with creating a space for everyone to try anything they want to and there’s no pressure of time, you know. Or pressure to get it right. It really is the best kind of, a great working environment. Larry King: How about Judd Apatow? Adam Driver: Great. I mean, he’s not on set as much as Lena but I would say his writing is the same. It’s just very specific and funny and always revealing and the characters always have something three dimensional to kind of play, and they make it very personal, which always makes it easier to play, I think.